Surface – Ben Boyle lives here! Can Arc Touch Bluetooth Mouse…? I’ve been meaning to blog more about my experience with the Surface Pro 3. I posted how the first one I got was a dud after it died the first night. The second one has been rock solid and a joy to work on. But this is not that post. This post is about the Arc Touch Bluetooth Mouse. It’s a very cool mouse, especially for portability. It’s light, it’s flat (when not in use), and it’s comfy to use. No usb needed. The touch bit instead of a scroll wheel is perhaps a bit odd. I’m not sure how I feel about that yet, but it is definitely far superior to the trackpad on the typecover, and more precise than the touch screen (especially for apps that have tiny UI elements, those not built for the high DPI screen). Overall, great mouse and highly recommended! 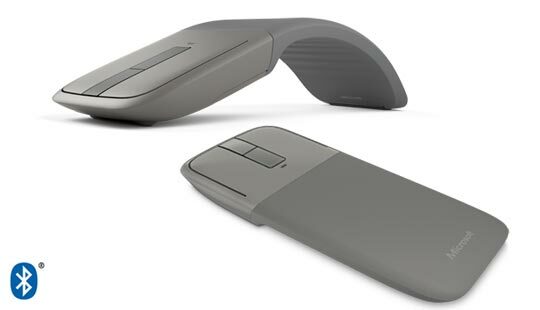 Can Arc Touch Bluetooth Mouse use your Arc Touch Bluetooth Mouse? Can Arc Touch Bluetooth Mouse use Arc Touch Bluetooth Mouse? Sounds like a trick question doesn’t it. Is it me, or is it just as weird for an app to refer to itself in the third person as it is for real people to do so? Even weirder when the app shares the name of the subject of the sentence. Holy confusion Batman. Posted on 17 March 2015 17 March 2015 Categories SurfaceTags editorial, UILeave a comment on Can Arc Touch Bluetooth Mouse…?